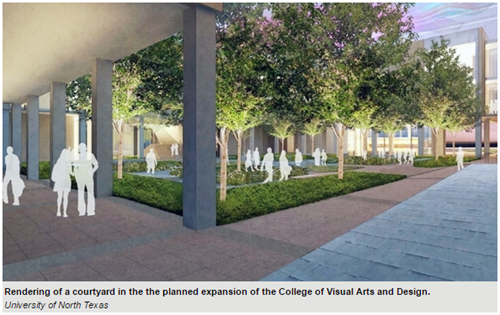 ​​​DENTON – The University of North Texas in Denton is building a 128,354-sf addition to the facility housing the College of Visual Arts and Design. The $70 million project is expected to be completed by fall 2018. The university says the project will enable the college to house many more of its programs in one location. The original main Art Building, with 82,546 sf of space, was constructed in the early 1970’s.